A stunning cake to cook to impress your friends or just enjoy yourself with a cup of tea. Cook’s tip: Great for entertaining. 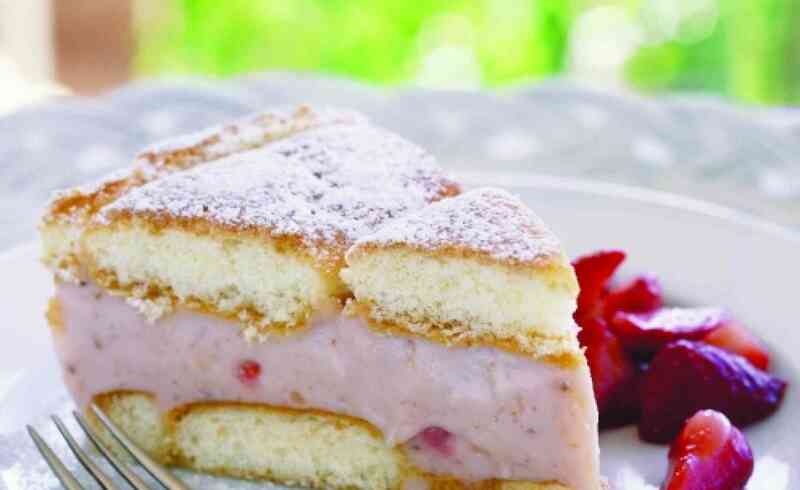 Make the cake up to 2 days in advance and macerated strawberries the day before serving. Cut rounded ends from each biscuit (biscuits will now be a rectangular shape). Take half the biscuits and fit together to form a round circle for the cake base, trimming where necessary. Combine Marsala and orange juice in a shallow bowl.